I wrote about Free Electrons several times in the past due to their work on porting Arm SoCs to mainline Linux. Free Electrons is no more. But don’t be sad, as it’s not because they closed shop, but instead they changed their name to Bootlin due to trademark trolls. 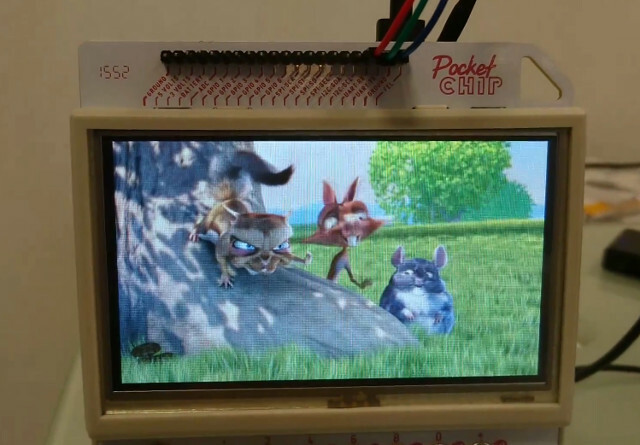 Free Electrons Bootlin intensively worked on Allwinner processors, for example working with Next Things Co. to add CHIP board to mainline Linux, or more recently adding support for OpenGL ES in mainline Linux, albeit with closed-source user space binary blobs. The company normally work with partners for their work, but for their latest initiative aiming to bring Allwinner VPU (Video Processing Unit) to the official Linux kernel there’s asking funding from the community through a Kickstarter campaign. That’s the first time the company tries to fund upstream Linux kernel development through a crowdfunding campaign, so it’s unclear whether there will be interest. I’d assume it might be difficult to get it funded by individuals only, but if some companies are not satisfied with the closed-source Allwinner VPU driver that’s a good way to get open source software developed since costs are shared. Pledges start at 4 Euros, and go up to 1,024 Euros. The campaign will last for 45 days, and estimated delivery is scheduled for June 2018 for the main goals, and if all stretched goals are reached full development should be complete around December 2018. If the campaign is successful, a weekly progress report would be provided on the company website. Pledged aswell, but I think it’s gonna be hard – Especially with the project description and the pretty similar pledges. They should have asked someone who successfully did a kickstarter campain and followed their suggestions (even if it’s something like stickers at values below 99$, “having dinner” for pledges over 2000$ and so on). They told me they’d consider adding pledges over 2,000 Euros, as it’s probably the only way this is going to be funded. Which API do they plan on supporting? Video4Linux2 (V4L2) I hope! Applications like Kodi are moving to only supporting Video4Linux2 (V4L2) on Linux in the future. We believe that our approach of sunxi-cedrus is more future-proof, as it is based on a standard V4L driver, which will use a standardized and upstream acceptable user-space API. This will allow the V4L kernel driver to be accepted in the official Linux kernel, ensuring its long-term availability and maintenance. I am sure they would be interested. I hope Bootlin makes an effort to approach them. Otherwise, it would be “volunteers” that may do an excellent job, or *uck it up. Is this needed when RPi already provides free video with CEC? In fact, when you see the amount they’re requesting, it’s lower than the cost of a single ad campaign for a company like ARM whose image would indirectly benefit from this. BTW, I wasn’t aware that they had to change their name and feel sad for this. Their name was well thought and very well known in the Linux community, in part thanks to their lxr. Now they have to build a reputation again with a new name, that’s never easy. Good luck guys! I think they should offer company badges of honour. Ie the companies, large donation makers name or Logo on the page. they like several processors they will work on but doesn’t include the new Allwinner H6 chip. I hope they work on that chip too. How the heck does one trademark ‘free electrons’? Actually, the trademark is on “free”. There’s a large French company called FREE that provides Internet access and more recently they’ve started to deploy their own 3G and 4G networks. Both companies have been around for over a decade, but FREE suddenly went after Free Electrons. Small companies don’t usually have the fund to pay legal fees, so they decided to change their name instead of fighting. No, I was really meaning ARM. While omnipresent in smartphones, SoCs using their technology are widely known for always suffering from incomplete support in Linux, making it hard to build laptops or PCs for example, and often limiting them to short-lived devices never receiving any updates due to the SoC vendor not caring. This has improved a lot over the last years, in part thanks to Free Electrons and a few other companies, but there is still room for a lot of progress. We all know that whenever we see an ARM board, the first questions that comes to mind is “will it work out of the box, does it support linux at all, and will I be limited to the vendor’s BSP or not”. You never have to wonder this when you get, say, an Atom-based board. That’s why I’m saying that improving ARM-based SoCs support in general will definitely improve ARM’s image. And that’s really inexpensive. It’s €18,012 right now. It’s still good as that means development will go ahead. Now we have to see if they can reach the stretch goals. Ah probably it was in $ and I was confused as when I pledged it was in €. No worry, you’ll probably be right soon I think. I’ve seen on Twitter that Libre Computer seems interested in pledging 4096 Euros extra, asking for one more slot. Although I do not like closed source hardware, I made a pledge, just to promote Linux kernel development. Now if only every reader of CNX Software pledged £1, $1,€1 or more wonder how much they would reach? First stretch goal reached. FriendlyELEC joined the club in the meantime and chose one of the large ‘company pledges’ but top donations so far are from Pine64, Libre Computer and Xunlong / Orange Pi. Let’s hope the other two Stretch goals are reached soon. FriendlyELEC pledged? Cool! My money to FriendlyElec at work towards mainstream Linux … that’s how I like it. But the Kickstarter reads ‘Requires 8800 EUR in addition to our main goal and the first stretch goal’ and ‘Requires 13200 EUR in addition to our main goal and the first two stretch goals’ so it should be 22,000€, 30,800€ and 44,000€ instead? Since now the main Allwinner board makers pledged larger amounts (though no idea what the Banana folks did or do) it might become a bit hard to reach the stretch goals especially if the amount needed is communicated as being lower than in reality? Yes, you’re right. I read that too fast on Friday. Even if they switched the goals, since encoding requires an extra 13,200 Euros, that will still be challenging. That’s be interesting if Allwinner themselves could pledge money to the campaign, but I guess this won’t be happening. About the HEVC issue, I saw some development about H.266 (FVC = Future Video Codec) the other day for 4K and greater resolution. So maybe that MPEG thing still have life. Applies to me as well (and everybody else I was talking about the Kickstarter too). Would be good if the Kickstarter itself could be updated to clarify this. While I appreciate your work a lot, I have to disagree here. Germany uses HEVC for DVB-T2, other European countries will follow. It’s also the codec for 4K-BD. Many Allwinner SBCs are the solution with the best price/performance ratio to get a Kodi device with HEVC support. I use a Orange Pi PC as such and eagerly wait to get that on mainline with all it’s advances. While AV1 with Apple supporting it recently will be the future, it’s not even finished and there will be no chips supporting it before 2H 2019 the earliest. It is all to do with the game of life maths principles, life cycles growth, predation, decline then rebirth. It is not the end of the world, we are just in the mature growth phase. Eventually new birth ( new technology , hardware or software will come ). As CNX said H266 is already being worked on. What I found really sad, is that a billion dollars company (in capitalization) like Allwinner does not fund this kind of project directly. People have to go through a Kickstarter campaigns which results will indirectly benefit in more Allwinner sales. I think we’ve seen the end of the h.26x series. The end was brought about by the excessive patent royalty demands of the various groups. h.265 is likely going nowhere in the broad market. AV1 is well on it way to replacing the h.26x stuff. AV1 has the backing of Google, Netflix, Amazon, Hulu, Apple, Intel, etc. via the Alliance for Open Media. Google is also promising free hardware IP once the spec stabilizes. A stable spec should be happening right around now. 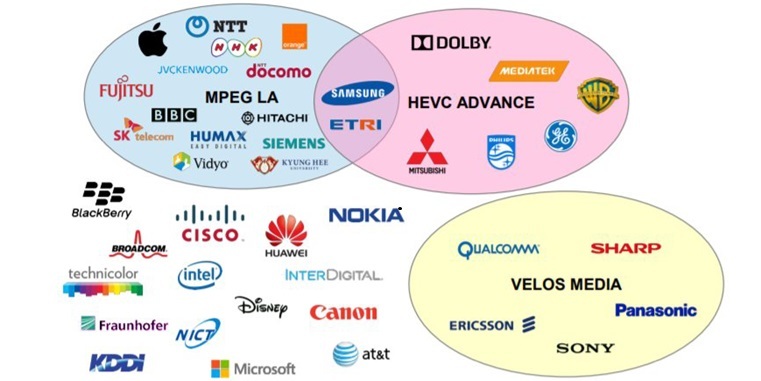 This image from the MPEG chairman’s post shows the break down in h.265. There are three patent pools, each demanding separate royalties. Plus there are 15 more companies that have not declared which pool they are joining. There is also a pack of NPE/trolls in the mix too. The problem with h.265 is that everyone is demanding at least a 100 to 1 return on the R&D dollars they spent. And of course they expect those billions in royalties to come from the pockets of YouTube, Netflix, Amazon Video, Hulu, etc. The content providers have responded by developing their own codec, AV1, for far, far less investment than the billions in royalties demands. AV1 has been inspected by many patent lawyers trying to insure it does not infringe. But, as we all know, the company with h.265 IP will attack AV1 no matter what. h.265 was recently given a huge gift by our much hated FCC chairman. Pai unilaterally approved ATSC 3 and authorized the shutdown of broadcast ATSC 1 about three years from now. By doing this every TV set sold in America is going to have to have an h.265 codec and all of the broadcasters are going to get stuck with large h.265 encoding fees. Note that when ATSC 1.0 initially came out each TV set paid around $27 in patent royalties. The total royalty demands for use of h.265 in ATSC 3.0 are unknown. The German DVB-T2 HD standard uses only 8-bit, so it’s no problem 🙂 I know that Amlogic/Rockchip SoCs might be better for this, as e.g. they supported 4K at that time, but I personally don’t need 4k streaming and that 1080p 8bit will be the best German public television will offer at least for the next 5-7 years, so I think the Orange Pi PC offers the best best price/performance ratio for that use case. I agree with you. And for that reason (the attitude of this company towards Linux support) for me Allwinner boards are a no go. I would be really tempted by some board from OrangePi or FriendlyArm, but as long as it is powered by Allwinner chips, I won’t buy them. Note: I recently converted an Amlogic TV Box to a debian server and I’m really thankful to Armbian efforts and the community. There’s always Broadcom & RPi 3. With CEC support, which is quite crucial for HTPC use. He’s the H.265 decoding on the Rpi3? Do they support 4k? That’s not surprising. Raspberry apologists like to overlook their platforms warts and focus on perceived warts of others. Maybe it’s a case of “if all you have is a hammer, everything looks like nails”. Well, the whole world isn’t nails, there’s other things out there. Use the right tool for the job. If you consider that, then the Rpi family are rarely the right solution. 2) If you have a reasonable sized city nearby, you can probably find one in a store. Of course, you should outgrow #1 and #2 is solved by this little thing called ‘mail’. There is also as I stated on another thread, the fact of, what the Media is film on and edited in. Not only major companies make content any more and low end equipment often still uses H264, 4K Hevc. Youtube use to convert to H264 on receiving a file ( if it is not already H264 ) , then into VP9 ( not sure if they are still doing that ). Also a major market of online content is re-broadcast IPTV or KODI non official add-ons.